What do you get when you mix a fabulously dressed dirty old man and a penchant for certain fruits and writing implements? A viral hit song that might just have the potential to topple Psy's "Gangnam Style" in terms of YouTube views. 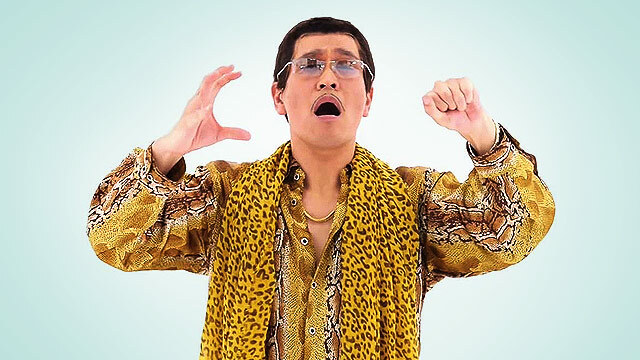 Written and performed by 40-year-old Japanese DJ-comedian Kosaka Daimaou as his fictional character Piko-Taro, "PPAP" or "Pen-Pineapple-Apple-Pen" is the newest Internet craze that has everyone either doing their own versions or scratching their heads.